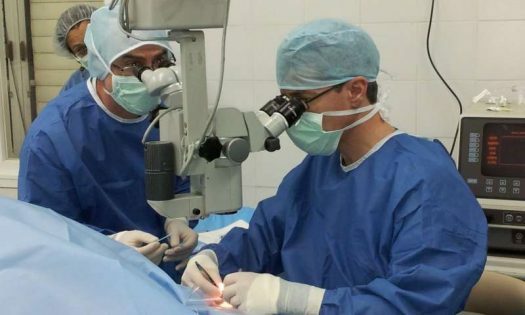 Prof. Ron Ofri of Hebrew University of Jerusalem’s Koret School of Veterinary Medicine has developed a gene therapy that may cure hereditary day blindness, called achromatopsia. People affected by this vision disorder cannot see in bright daylight, can only see in low-light conditions, and have low visual acuity and colorblindness as well. Incidence of the disease varies according to population, genetic background, and rate of marriages between close relatives, with its prevalence in Jerusalem affecting one out of 5,000 individuals. 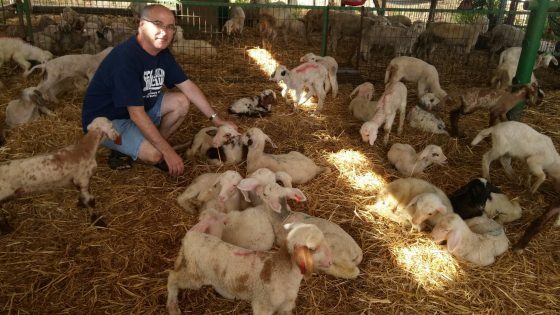 Prof. Ofri and his colleagues, Professor Eyal Banin of Hadassah Medical Center, Professor Elisha Gootwine of the Volcani Agricultural Research Organization and Professor W. W. Hauswirth of the University of Florida derived successful results from gene therapy trials administered to a herd of Awassi sheep with the same disorder. When sheep with day blindness were injected with a virus containing a normal copy of the missing gene that is responsible for the disorder, this successfully restored the sheep’s daytime vision. What is remarkable is that from this single gene-therapy treatment, the oldest surviving sheep from the original trials has retained its eyesight. These promising findings, occurring less than ten years after the herd with day blindness was identified by the scientists, has launched FDA-approved clinical trials in several US medical centers. Israel’s Ministry of Health has also approved clinical trials to begin during 2019 at Hadassah Medical Center. “This marks a wonderful feat in ovine-to-human and research-to-cure efforts,” shared Professor Ofri. To view the sheep in the trial, see more.